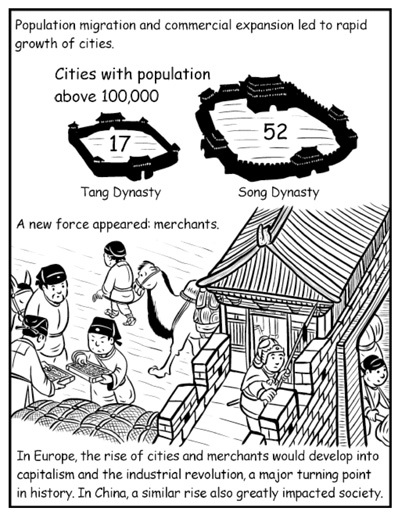 The third volume of “Understanding China through Comics” continues Liu’s epic quest to chronicle all of ancient Chinese history in comic form. As with the first two volumes, the book zips through Chinese history, in this case 907 to 1368 AD, with text and illustrations. Liu spends more of the third volume explaining Chinese cultural ideology and geopolitical context than before, and to good effect. In particular, the Song dynasty’s rise, resilience and downfall is set up as an epic tale. Despite these welcome additions, Liu’s comic history still moves at a hurried pace; before you know it, one ruler is dead, a dynasty is over, and it’s time for the next one. Get it from Amazon, as a paperback or Kindle e-book. Editor’s note: Read our reviews of volume 1 and volume 2.